Jane Dragon makes hand and foot warmers outside her family home in Fort Smith, Northwest Territories. 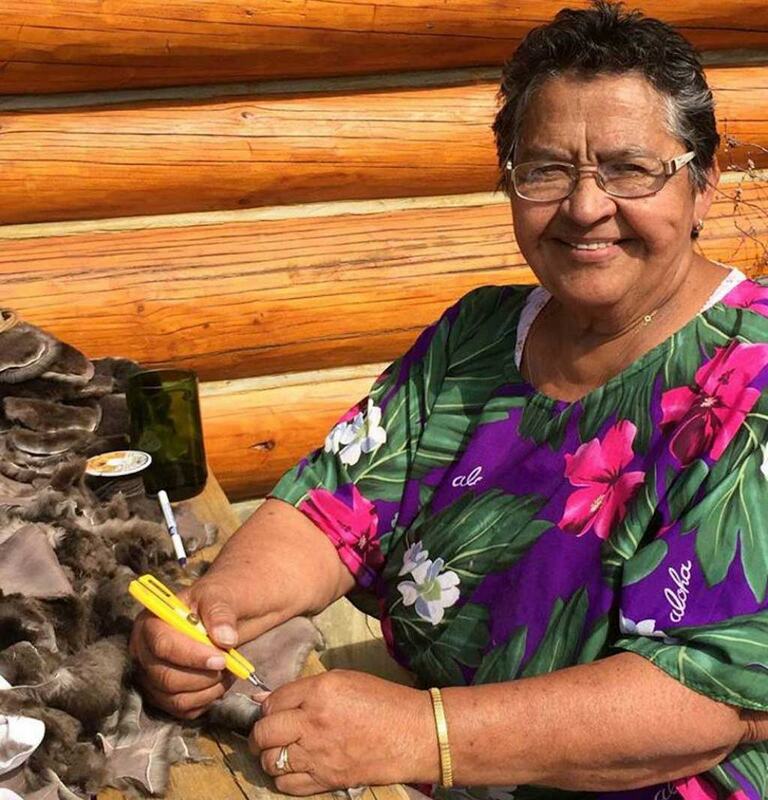 Her daughter, Brenda, founded the company Aurora Heat, producing heritage fur products. Heritage fur products to warm the body and soul, April 20, 2017.